The question seemed to come out of nowhere, on a routine drive to T.J. Maxx. But in retrospect it wasn’t. Kara had spent her early years on the campaign trail with her mother, who is a judge, and she shared a love of words with her father, a teacher. Still, she laughed off the suggestion. Now, as a recent graduate of Binghamton University bent on being a journalist, it’s the thought of being anything else that seems laughable. At Binghamton, Kara, 21, who majored in English and Africana Studies, held two positions at the student paper, The Pipe Dream: assistant Arts and Culture editor and the editor of Prism, an offshoot of the paper that focuses on the stories of marginalized voices on campus. 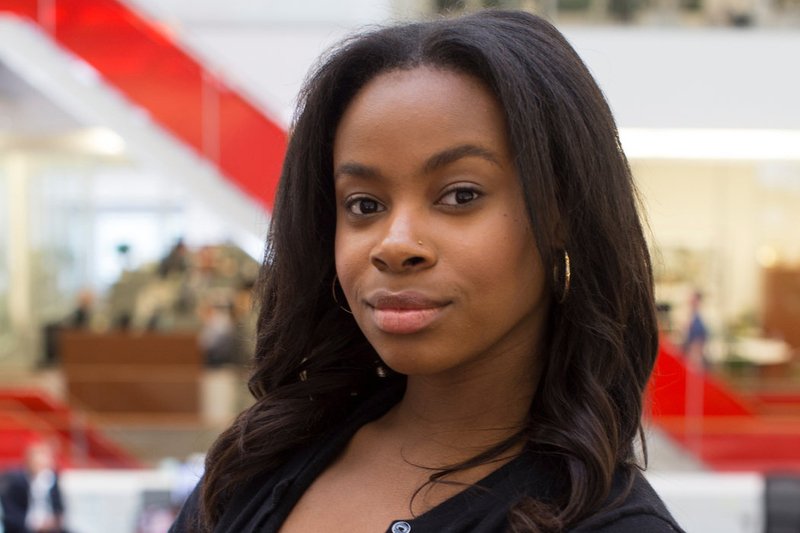 Kara’s journalism has focused on women, specifically black women. Her writing has reflected the needs and interests of black women on everything from beauty to wellness to politics. When Kara is not writing, she’s often reading. She cites the work of the novelist Ann Petry as an inspiration. She also teaches workout classes as a certified group fitness instructor. This fall, Kara, a Buffalo native, will attend the CUNY Graduate School of Journalism, studying in the Arts and Culture Reporting Program. She hopes that The New York Times Student Journalism Institute will help broaden her experience as a journalist and allow her to report outside the Binghamton community. “I’m excited to stretch past that bubble and get into a new environment,” Kara said.